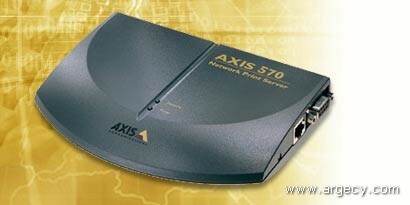 The AXIS 570 print server for 10 MBit Ethernet networks provides a flexible and cost effective way to print to your LAN printers or digital copiers from your AS/400 or mainframe system. In addition to support for environments such as NetWare, UNIX and Windows, the Axis Host-to-LAN products deliver world-class support for IBM host system printing over TCP/IP and SNA. The AXIS 570 enables high-speed printing without the need for application changes, host-based conversion software, or intermediate servers. The concept of distributed conversion deliver great scalability with full control over the output and interactive exception status reporting.